Seriously, Colorado is the bomb. There are so many opportunities to do exactly what we love there: nature photography, hiking, birding, snowshoeing, etc. How can one state can be blessed with so much? Our next series of posts will spotlight a few of our hiking experiences in Colorado that have us chomping at the bit to live out there permanently. So let’s get started with our hike to Ice Lake. 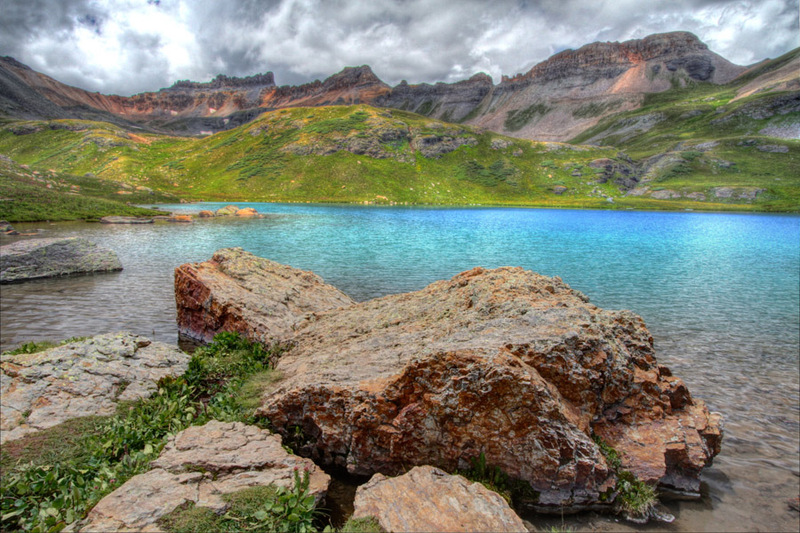 Ice Lake is a gorgeous hike just outside the town of Silverton in southwest Colorado. The 7.0 mile roundtrip trail starts near the South Mineral Campground at 9,840 feet and gains elevation quickly as it heads up 2,340 feet to a glorious little lake framed by 13,000 foot jagged peaks—just the perfect spot for a picnic lunch. We had fun photographing the fields of colorful Indian Paintbrush and diminutive Elephant’s Head before we were treated to our first experience with “graupel”—a local weather phenomenon common to the area that is best described as a mix of hail and snow—that forced us to pack up the cameras earlier than desired and head back to the trailhead. It was wild to see the trail littered with the small beads of snow. It looked like a giant bean bag had exploded on the trail! Here are some of our favorite photographs from the trail. Be sure to click to enlarge them and view them as a slideshow. Beautiful photos of one of our favorite spots! Looks like Golden Horn and Fuller or Vermillion in the background of the first shot? Pilot Knob, U.S. Grant, spectacular wildflowers – you two need to move out here! It is amazing how much the Colorado backcountry has to offer. Thanks for sharing your breathtaking photos! Thanks, Rob! As I said, we would love to move to Colorado. We are envious that all of that beauty is right out your back door. Do you know of any schools in need of a Latin teacher (Matt) or a technology teacher (me)? Let us know if you hear of anything! I will keep my eyes wide open for positions in the local school district!!! Thanks, Rob! It would be amazing to be in Durango and spend our free time in places like these! I can smell that fresh clean air! The wild flora you’ve photographed is beautiful. It’s interesting that the three examples are all a similar colour. Thank you. There was also an ivory varietal of the flowers, but our photographs of the pink ones on this day turned out best. The flowers were in dense groupings once we reached Ice Lake. The challenge was to isolate clusters for a pleasing composition, and the pink ones grew a bit taller than the others, making them a bit easier to photograph. That’s interesting – I’m thinking also that perhaps certain colours dominate at certain times of year. For example, in England in Spring white and yellow seem to be more prevalent. Whatever the reasons – your images are lovely. I am sure there is truth to that. Thanks for stopping by! Thanks! Good to hear from you, Maritska. We hope that all is well with you! Stunning images, the landscape is beautiful. I can see why you would want to be close to this. We briefly visited Colorado to go to Mesa Verde National Park last year though I would definitely like to explore more. Thank you! We just don’t have anything like that in Chicago! We haven’t made it to Mesa Verde yet. Colorado probably has a lifetime worth of destinations to see! Stunning! This will definitely go on my list of hikes. I haven’t made it to Colorado yet but everyone tells me it’s a must. Looking forward to seeing the other places you’ve gotten to. Thanks! Colorado is right up your alley. We’re going to highlight a few more hikes/backpacks that we did in the area and then hope we can get back out there sometime soon. You would love it! Beautiful photos! I live in Colorado and had never heard of this hike. Will add it to my list of adventures this summer. 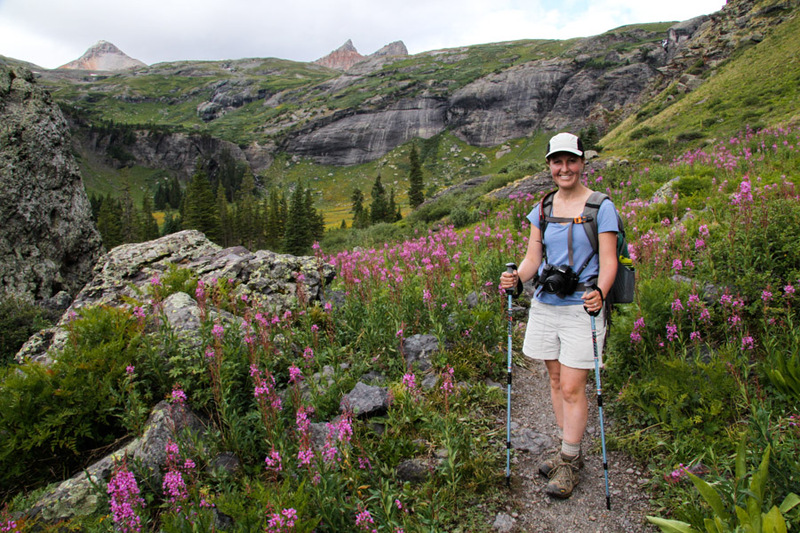 What time of year did you do this hike that all the flowers were in bloom? We did this hike at the very beginning of August in 2012. It was a very dry year that year, and the flowers should be even more spectacular after a snowy winter like you had this year. In general, I think that July is supposed to be the best time in Colorado for wildflowers. You are fortunate to live in such a beautiful state. We hope you make it to Ice Lake!